﻿ Ocean and air cargo shipping and logistics agent, Customs Broker Los Angeles, Freight Forwarder, Air, Ocean and Trucking Cargo Transportation . Earth Customs clearance moves your cargo through customs efficiently and professionally, saving you time and money. 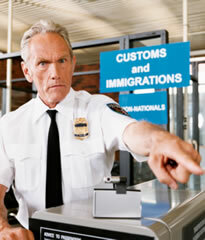 Our dedicated staff is there to help you get through customs quickly and we are just a call away. Earth Customs pre-clears all cargo when it leaves the origin port. This state-of-the-art system for processing shipments is exclusive to Earth Customs customers. All shipment data is interfaced and traceable from prior to departing the origin port – through to the destination. Earth Customs, Inc. 310.670.7300 ext. 107 Earth Cargo, Inc.
**Looking for Customs Brokerage near Los Angeles, California, Taiwan, Japan, New Zealand, Australia; we are the best resource for Ocean freight. Air freight, freight forwarding, trucking transportation air cargo, Air freight international, cargo, Canada, customs compliance, customs resources, logistics, freight, global transportation, customs compliance, worldwide customs service, United States, far east. Ocean and Air Cargo Shipping and logistics agent! We have the best air and ocean rates in transportation. Our ocean freight staff will help you with all of your ocean needs. Ocean is a way of life in California, and our freight and Ocean Company will allow you to experience the ocean freight you should experience here in the United States. Far East, Japan, Taiwan, China offers all kinds of ocean and air transport but this one is the best. Our bulk truck hauling is trucking manifest truck friendly. California ocean and air cargo freight agent, haul your ocean and air cargo with us! Our ocean and air cargo rates and services for ocean and air cargo are the best in the industry. We are the Ocean and air cargo shipping and logistics agent for you!